Professional marketers know the benefits of content marketing. But for new companies content marketing can sometimes feel like an impossible mountain to climb. We spoke to Clare Medland, founder of Rolltack who managed to get some fast content marketing results which led to an order from Amazon. 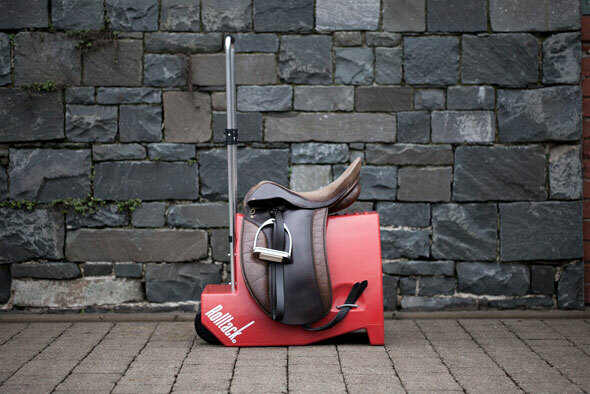 Rolltack is the idea that every entrepreneur wishes they had. Simple but obviously useful and with a huge target market it definitely falls into the category of “why has no one thought of this before?”. 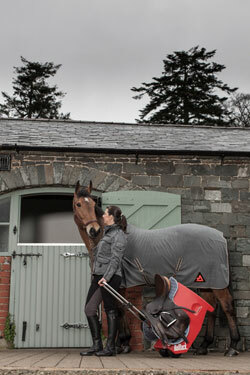 Rolltack is the equivalent of a golf trolly for horse owners. One portable unit that carries all the necessary equipment in a lightweight, multifunction unit. After building the prototype of Rolltack herself, Clare’s invention was admired by all at the next show the family attended. Dozens of requests for her to build more units followed, so Clare decided that it was time to quit the day job to try and turn Rolltack into a business. Fast forward 6 months and Clare finally had a product that she was happy with. Something that solved a very real and immediate problem. Surely Rolltack would be flying off the shelves as soon as it was ready? Not quite. As many entrepreneurs have found in the past, a product does not make a business. You might have the best invention in the world but if no one knows about it then it may as well still be an idea in your head. This presented an entirely new set of problems for Clare. How could she spread the word about Rolltack outside of her immediate circle? Exhibiting at trade shows was the obvious option but definitely not a cheap one. Manufacturing businesses are expensive to start with so there wasn’t much of a marketing budget to work with. Social media had proved successful in the past but Clare wanted to go into more detail than 140 characters would allow. 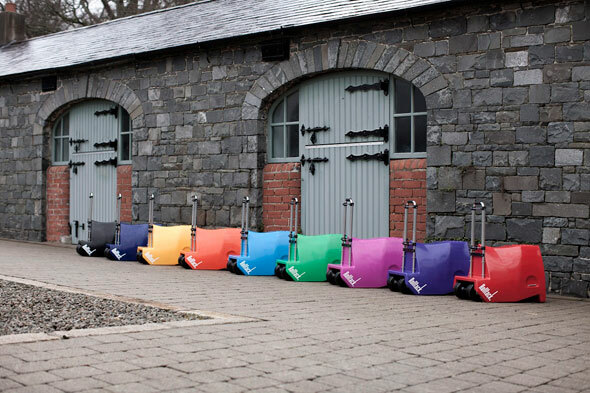 “it’s every horse lovers dream to turn their hobby into a full time job – people loved hearing about our progress as we developed the product because they would love to be doing the same themselves”. After a few more emails back and forth Clare secured her first bulk order – from Amazon. In this way Rolltack effectively combined the use of content marketing software for B2B lead nurturing purposes and saw quick results. It’s as simple as that – no one likes being sold to but everyone has time for a good story. 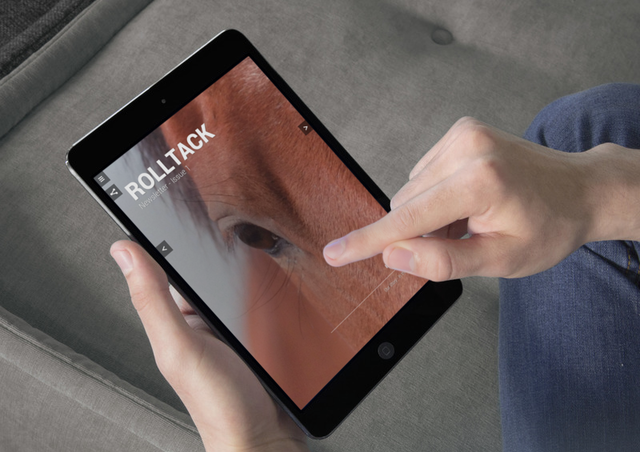 The sequential, page-by-page nature of a magazine lends itself to a story, meaning that Rolltack were able to keep readers engaged for longer. Not many companies use their own magazine as a marketing tool. While the format won’t save bad content it can definitely help to frame content in a different way. According to Clare, “presentation is important – quality images, even the formatting of the text”. Beacon magazines are designed to be beautiful by default so anyone can create a magazine that looks great without having to think too much about it. Amazon demand a high standard from their suppliers and attention to detail is important in everything from invoicing to reordering. The Rolltack magazine helped them to project a professional image right from the beginning. Many start-ups think it’s important to appear bigger than they really are, Rolltack embraced the startup mentality and told their story in an honest and genuine fashion. The magazine helped to give a sense of the people behind the company – customers and distributors could identify with them and it made them feel closer to the product. It’s natural to think that a content marketing strategy takes months of planning, and sometimes it can. But it doesn’t always have to. In this case Clare knew the story of her product inside out so was able to put the magazine together in 1 evening. In this case it’s important to pick a tool that you don’t have to spend weeks learning to use. Find the most suitable medium for the content that you already have. Wether that’s video, blog posts or in this case a magazine, there is no shortage of content marketing tools if you are willing to think a bit differently. The magazine enabled Clare to produce standalone marketing materials that didn’t distract from the primary e-commerce function of her website, but she could link from the magazine to the online store to drive sales. She was able to deliver the content via multiple channels, including email and social media so she didn’t exclude any potential customers. That means mobile. We don’t know where or when people will interact with the marketing materials that we produce these days so it’s important to make sure that all bases are covered. In this case Clare’s magazine was optimised for every device from smart phone to desktop computer. So people on the bus got a comfortable reading experience – just like the people sitting in front of their computer at home. With product development complete and the orders beginning to gather momentum, Clare wants to spend more time on the sales and marketing aspect of the business. In the next few months she aims to release new issues of the magazine as a way of continually updating the company’s story at regular intervals. While Clare hadn’t heard of content marketing a few weeks ago, she has proven that it can produce very tangible results in a short space of time. How was your first attempt at content marketing? Tell us about it in the comments. This entry was posted in Case Study, Content Marketing. Bookmark the permalink.